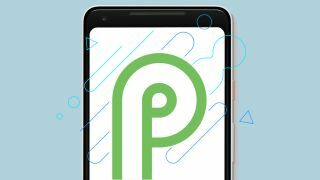 We were able to test out the best Android P immediately after the Google IO 2018 keynote and, compared to last year’s Android Oreo, this is a huge jump forward. Sure, it’s fair to expect a few visual tweaks year-over-year. But there seems to be way more to unpack inside of this update, which has just released in a public beta for the Google Pixel 2 and, thanks to Project Treble, a load of other phones as well. Interestingly, it seems like Google is saving some of the more interesting additions we saw onstage for the final release that’s slated for release later in 2018. IO 2018 highlights like Shush, Wind down and Dashboard, ones that aim to improve your digital well-being, are omitted from this current beta release. We talked with Google developers about the new release, asked what their favorite features are, and now, we’ve had a while to play around with Android P on a few devices of our own. Here are the game-changing features that may change the way you use Android moving forward. Actions are a buzz word at Google IO 2018 and for good reason, it seems. They are the new lifeblood that connects all of its hardware, whether it be smart displays, phones, or Android TV soundbars. Basically, an Action is a specific task within an app that you commonly perform. A few quick ones that come to mind are posting a photo to Instagram, and playing music from your recent favorites on Google Play Music. They’re essentially shortcuts that let you do more with fewer taps. We’re seeing the debut of Actions on Android P, and after a few hours of use on our Google Pixel 2 XL review unit, we noticed some Actions placed near the suggested apps in the app drawer. These will be specific to you and reflect how you use your phone. If you like them a whole lot and don’t want to swipe up to access them, you can even save them to your home screen. If you don’t want to wait for your phone to make Action suggestions, you can make some of your own, too. Just tap and hold on an app icon until the quick menu pops up, as is illustrated below, then tap and hold on one of the Actions that you’d like to turn into a shortcut. Google is overhauling volume controls in Android P, and it’s about time. First off, adjusting the volume will always default to modifying the media volume, not the call or alarm volume as previous Android versions sometimes annoyingly default to. The user interface surrounding volume has shifted over to near where the hardware buttons are located, so you can easily switch to dragging the software bar instead. Also, toggling between vibrate, silent mode and regular volume is done just by tapping a small button above the volume bar. Here’s something you might not read about elsewhere. Google showed us a new button combo that can automatically switch your phone to vibrate mode without unlocking the phone. Just briefly click and hold both the power and volume up buttons to toggle it to vibrate instead of ring out loud. You’ll feel a subtle jolt of vibration to confirm your selection. We still prefer a mute switch or hardware slider, like OnePlus has done, but this is a big improvement for stock Android. Lastly, though we heard no word of it at Google IO 2018, Android P looks to be incorporating a new feature that can remember your preferred volume levels for Bluetooth devices. This way, your media is neither too loud, nor is it too quiet. Ah, yes. The new home button. It’s been a really long time since Android went under the knife in such a major way, and this one is sure to stir up fans, especially the ones who don’t want their phone to be compared to the iPhone X. Regardless of the similarities, the new home button and nav feel surprisingly cozy after a minute of using it. Once on the home menu, swiping up reveals a new sort of launcher, one that shows off the apps that you have open, as well as a few suggested apps. Swipe up again and you’ll be seeing the good ol’ app drawer, which is seeing a few updates, as we noted in the Actions section. A reader pointed out that even though Android P defaults to the standard home navigation, you can switch on the new home button by selecting it within "Settings > System > Gestures". If you’re on the home screen, moving the home button over to the right scrubs through each app that you have open, so you can effortlessly switch apps without multiple button presses. Google will likely find more ways to boost efficiency while using your phone, but we’re not seeing too much just yet in this beta release. Being able to split your screen into two for multitasking was revolutionary when it was announced. It has since grown a bit long in the tooth, as some apps require more screen real estate to operate correctly. I personally don’t use it much for this reason, and that’s why I’m so excited for what’s coming in Android P.
From the app switch screen, you can actually copy text from suspended apps running in the background and paste them wherever you’d like. We all have our reasons for multitasking, but my primary use case is copy/pasting information from one app into another. Being able to copy info without actually full switching over to a new app is a huge time-saver and likely, a battery-saver as well. This one sound weird, but part of the design philosophy behind Android P is all about creating some space between you and your phone. Google debuted Dashboard, a new feature coming to a later version of Android P.
Dashboard splits apart your time spent using each app, allowing you to set timers that alert you when you’ve passed the allotment. It’s not meant to annoy you, and Google is also trying to help users balance their digital lives by developing what’s being called notification digests in some of its apps. It will pull together the most notable updates throughout the day in one page, so you can quickly glance at what you missed while you were off living life. This is a bold change, not just for Android, but for the tech world as a whole. Google, a tech company, is devising ways to keep you from getting lost in technology. Despite its interests in keeping you deeply rooted in its services, I appreciate that it’s putting resources toward helping people who simply spend too much time on their phones.